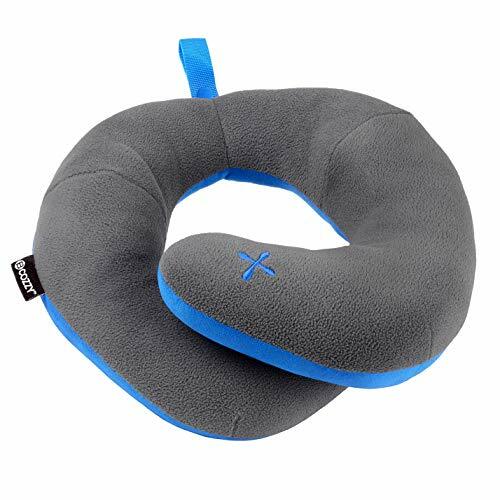 Are you looking for the most comfortable neck support pillow on the market? Do you need a travel pillow that works? 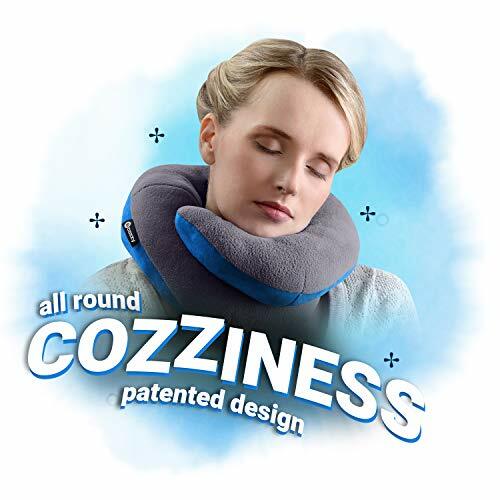 Check the BCOZZY travel neck pillow with chin support. WHY BUY A BCOZZY? 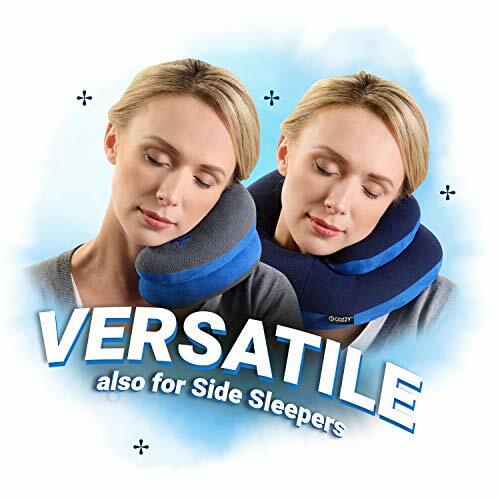 – This patented pillow provides a perfect support for the head, neck and chin, sitting in any position. – The unique support for the chin feels naturally comfortable and prevents the head from falling forward. – The special side cushions stabilize the head and prevent it from moving sideways. – Its unique design adapts to heads of any size and necks of any length. – Adjusts to any position while sitting without the need for buttons or connectors. – Easy to carry, its snap strap connects to any luggage or bag. – Soft and durable fabrics that provide maximum comfort. – Easy to clean for maximum care and hygiene. – Available in three sizes for adults and children. – BENEFITS OF BCOZZY: * Prevents the head from falling forward. * Allow naps and relaxation in any position while sitting. * Flexible and adjustable for maximum comfort. * Easily washable for maximum care. * Fits any luggage with an instant. The BCOZZY pillow is a travel pillow that really WORKS! It is flexible, adjustable, safe, luxurious, convenient, with great support and ideal for children and adults. BCOZZY is guaranteed. 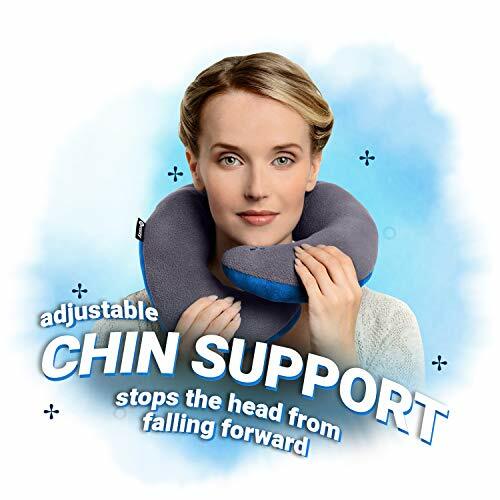 If you are not happy, please contact us.✅ PATENTED CHIN SUPPORT- The overlapping arms STOP the HEAD from FALLING FORWARD and can be ADJUSTED to your PERSONAL COMFORT. ✅ MULTIPLE WAYS TO USE – YOU CAN conform and twist it in several positions. 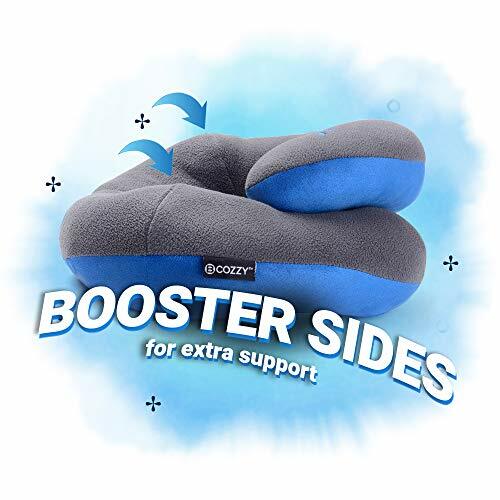 Check out our short video below - “How to use your BCOZZY pillow”. 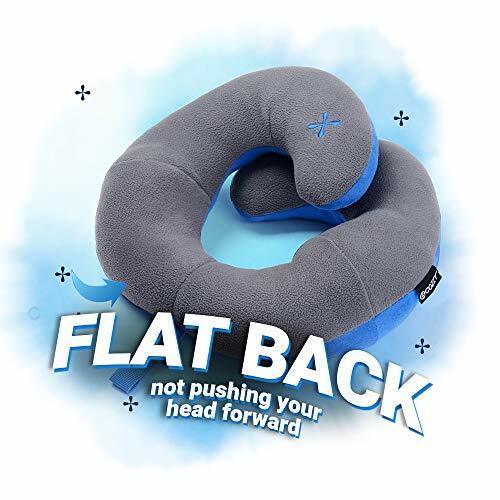 ✅ FLAT BACK NOT PUSHING your head forward and prevents waking up with a sore neck. ✅ BUILT IN SNAP STRAP- easy to attach to your carry-on. 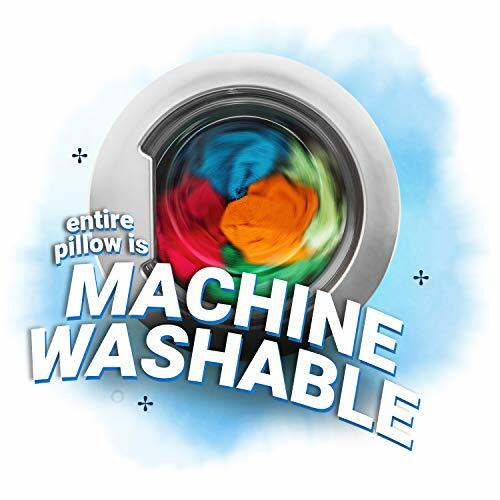 LIGHTWEIGHT and FULLY MACHINE WASHABLE. 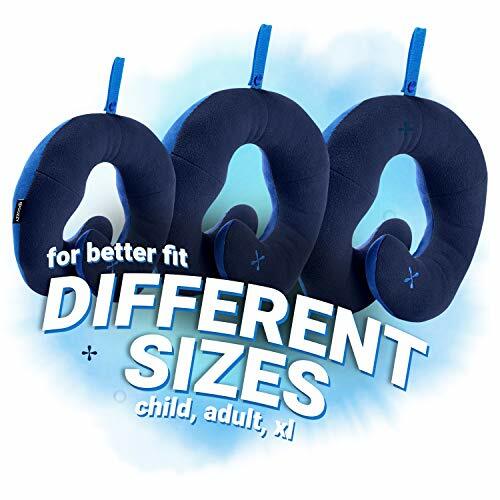 ✅ AVAILABLE in 3 SIZES – Child, Adult and XL (for neck size 16″ and above). Special Offer- Buy Set of 2 for LESS. BENT SA © 2019. All Rights Reserved.